Galbraith has been instructed to sell a historic townhouse in Kirkcudbright with a tantalising short poem written on the wall and signed by R Burns. Thought to be Robert Burns himself. 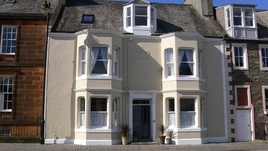 The bard is known to have stayed at 52 High Street, Kirkcudbright, when it was a coaching inn, The Kings Arms. The County Commissioners, or excisemen, would dine at the inn following meetings at the Tollbooth. Robert Burns was an exciseman between 1789 and 1796. The lines are very similar to a song known to have been written by Robert Burns called The Lass That Made The Bed To Me. 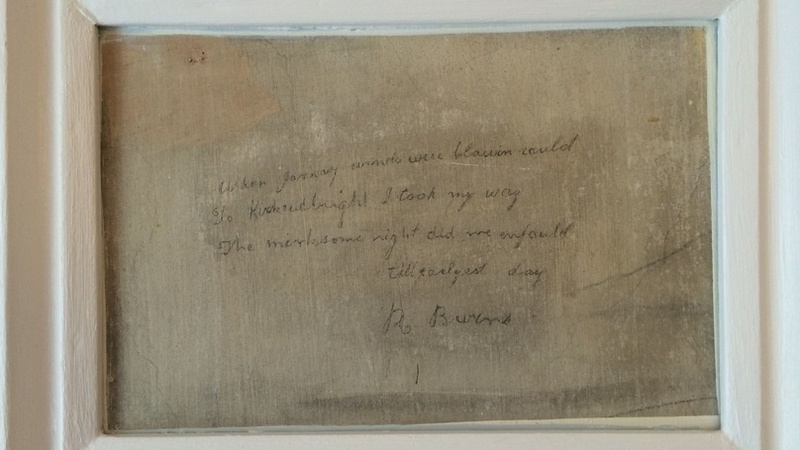 The inscription was uncovered in the 1920s by a former owner of the house, the noted Scottish painter William Robson. Robson was convinced that it was indeed Robert Burns who had written the lines. Robson had the inscription preserved on the bedroom wall, where it remains today. For further details about 52 High Street, Kirkcudbright, contact Galbraith on 01556 505346. A wonderful Georgian townhouse, sympathetically restored and upgraded to a high standard in recent years.